1. The buck starts and stops with you. One worker will suggest lets do this, another member of staff will say lets do that. The client may try to micromanage and suggest his ideas. But ultimately you are responsible. If the project goes south, you don’t get paid. And you won’t be able to blame the client. So never agree to do something that you are not comfortable with. The project is your responsibility and you need to show leadership. 2. Equipment will break down. Whether it’s a handheld device or a floor grinder, equipment does have a tendency to break down when you need it most… For example working through a holiday weekend when everything is shut. This is why you need to have backup plans ready. Can someone lend you equipment at a moment’s notice? 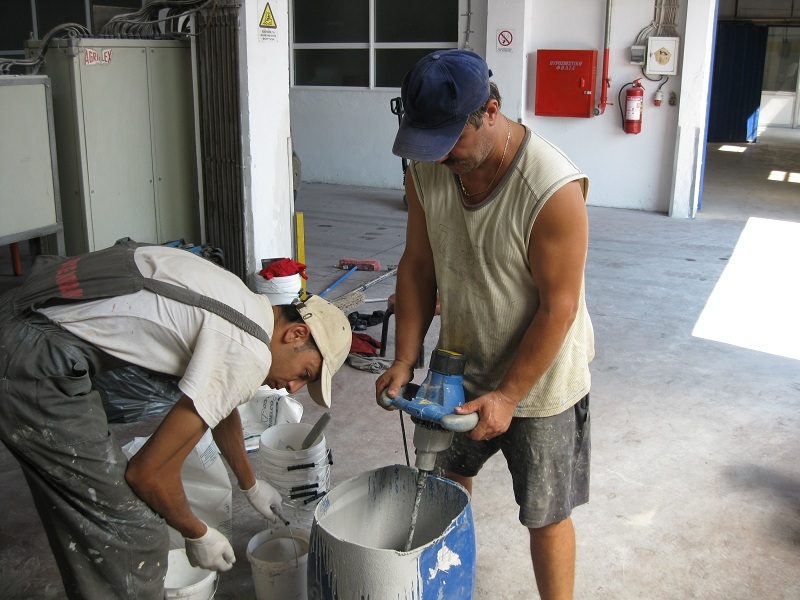 Do you have someone on your team that is handy with electrical equipment? Most machine breakdowns can be easily fixed within a few minutes… Just make sure that you have people on your team that can handle these tasks! Machines (like this one) will break down! Do you have a backup plan ready? 5. Document Everything. We live in the age of smartphones. Take pictures (provided you have permission). Keep track of all the tasks carried out, and when they were carried out. Keep track of products used and actual consumption. If you agree with the client on additional work, put that in writing. It is funny how customers will forget all these additional agreements you made when its time for them to pay. The more serious you act, the more seriously customers will take you. Over time you will notice that you are driving away the flaky customers, and only serious people will want to work with you. 6. Keep your supplies organized. 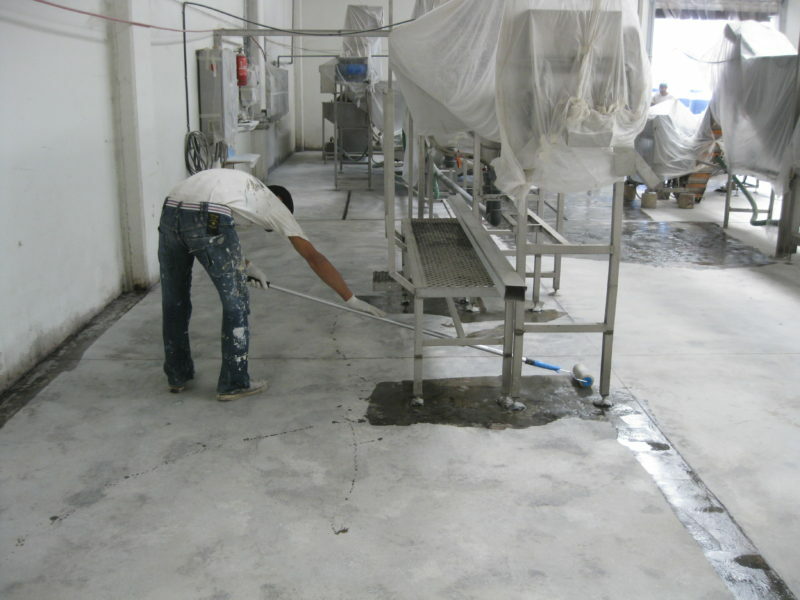 Every epoxy contractor has a disaster story to tell. 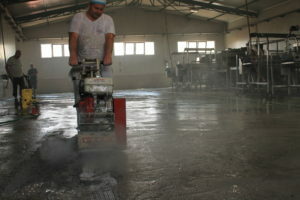 About a certain area of the floor that had not cured because they had mixed up the hardeners, or running out of product with 3 square meters left. If you keep all your products organized and properly counted, the risk of something failing is reduced. Have one person (preferable the guy doing the mixing) in charge of the stock. 7. Set rules and limit access on the site. There is nothing more frustrating than random people strolling around on the project site, sharing their opinions, distracting your staff or asking questions. Worst of all they carry dust and debris with them. They could end up damaging the surface preparation and priming of the floor. It is understandable that the customer will want to see how the work is progressing. But set clear boundaries, use red road marking tape to communicate that access is limited. Perhaps even put up a sign saying access is limited. This communicates a clear message to all those randomers. So now that I have told you my thoughts, I would love to hear your suggestions. Is there anything I missed? Please comment below! 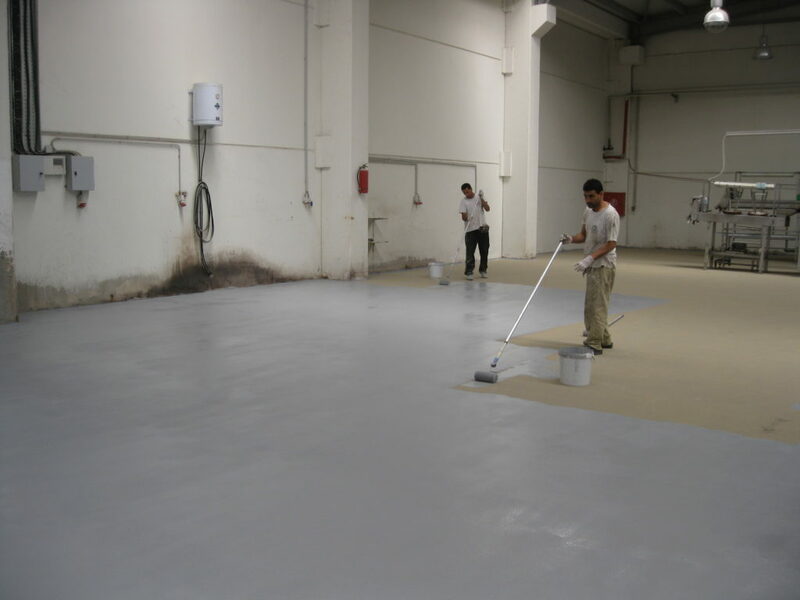 And if you would like to learn more about how to properly organize your epoxy flooring team check out our online epoxy training course! We have an entire module dedicated to how to organize your team!